Good greetings to seniors and friends. This one food almost resembles dodol, both in terms of taste and color. 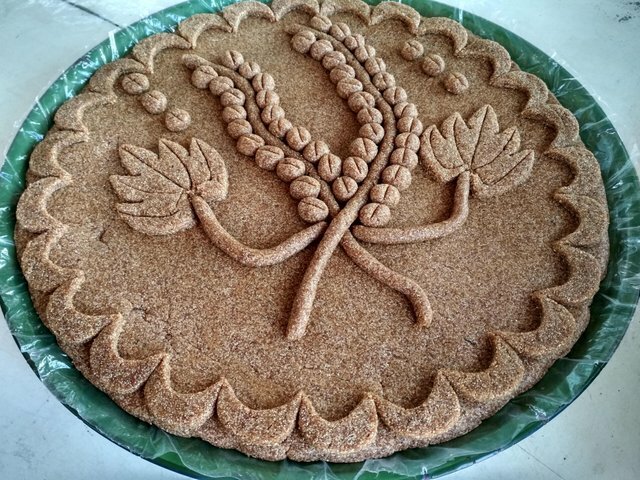 But it has a coarse texture because it is made from glutinous rice that is crushed roughly. The pleasure sensation is precisely derived from these coarse grains. And also from the grain of coconut grated. His name is Halwa. It's sweet and legit. 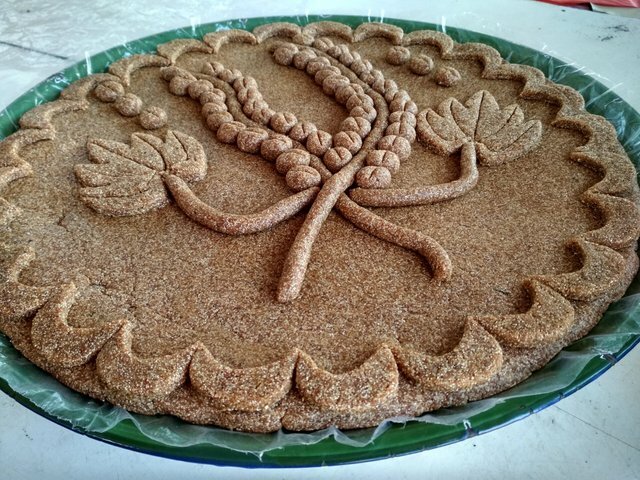 This cake is not so popular compared to other traditional Aceh cakes. In these coffee shops the cake is never found as timphan. Nothing even though it has a delicious taste but the process of making this cake is a bit complicated and takes a long time. So it makes people rather lazy to make it. Used to make this cake can be up all day. Imagine, pounding the rice alone by using Jingki, a traditional rice pounder of Acehnese. So you can imagine how much time is spent. now halwa also made with different look, if the first halwa just plain and no art, now halwa have a new look, by adding art on it let more beautiful and modern. halwa if in Aceh usually become congenital for marriage.